31 May, 2018 | Any chance to interview Roberto Casarotto is like opening the door to a great adventure. 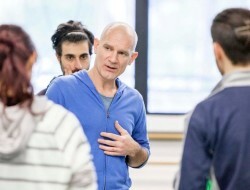 His current role as head of international dance projects for the Operaestate Festival impels him on recurrent journeys. A tireless nomadism, not just physical but intellectual and purposeful too. It is in perfect harmony with a way of thinking and working that is in continuous movement, with an open vision which sweeps 360°. His approach to the world of contemporary dance is eccentric, visionary, enthusiastic and with a disruptive vitality. He startled the sleepy town of Bassano del Grappa, nestled in the Alpine foothills in the heart of the north-eastern Italy, transforming it into a cauldron of experimentation with an international artistic focus. We reached him by phone in Paris, at one of the stagings of Migrant Bodies – Moving Borders – a two-year European project first produced in 2013 and now in its second edition. It is quintessential Roberto Casarotto in that it exemplifies his vocation for mixing and diversification that brings into play different specialities; from choreographers to writers, from photographers to video makers, not only amalgamating professional skills but also places, ideas and people, filtering-out the ordinary and distinguishing himself with a tenaciously explorative stance. Our chat was concurrent with the press conference for the Operaestate Festival 2018 and for BMotion, a festival inside the festival as it were. We asked him to briefly summarise the shows on the programme, but, above all, we questioned him on this year’s theme, elected by ABCDance’s editorial board as the common thread of the season: “Transmitting dance”. Our interview follows below. The title of this 2018 edition of Operaestate Festival is Conflicts and Civilisations. How did you interpret that in dance? The title naturally refers to the whole festival, which is multidisciplinary. Indeed, 2018 is the centenary of the Great War’s conclusion. Together we have ruminated long and hard on how to deal with this topic. We had not only considered World War Two but also all those conflicts present in our everyday machinations, which reverberate in the echoes of bygone events, a past that seems to have taught humanity nothing at all. In fact, sometimes these events risk being rekindled through sloganeering or through certain recurrences of situations that make us reflect on why we seem destined to repeat past mistakes. 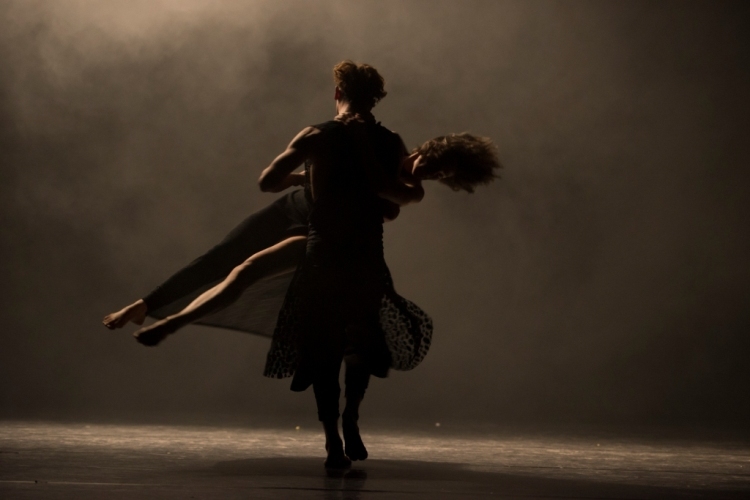 How does dance engage itself with this theme of conflict? 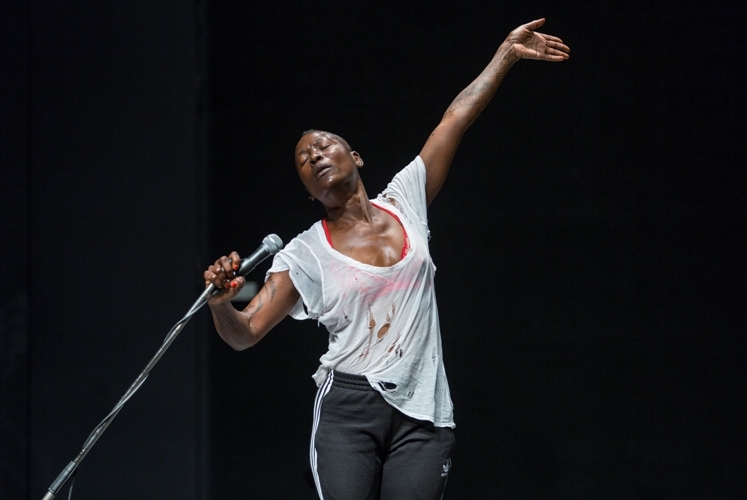 Dance is grafted onto this issue primarily because we have involved artists who come from war-torn regions. One example is Nora Chipaumire, an artist from Zimbabwe who survived a genocide. Nora is an artist and activist who, with her work [#Punk, 22 August, Teatro Remondini, Bassano del Grappa, Ed.] gives voice to a series of her basic questions, because they belong to her personal experience, yet they are also fundamental for all of us. This is because they speak to humanity, they’re queries of a universal nature. Then there are artists who come from Israel [like Sharon Fridman, Iris Erez, Yaara Moses, Ido Batash, Ed. ], yet also artists who, despite hailing from old Europe, face relevant contemporary issues such as the conflict between generations or ongoing economic strife. So clearly we don’t want to refer exclusively to wars, and certainly not glorify them. We have reflected on how many forms of conflict often give people the opportunity to roll up their sleeves and toil arduously to bring civilisation forward. Consequently we asked ourselves “what is ‘civilisation’ today”. Among other things, 2018 is a special year because the European Union has declared it a year of cultural heritage [European Year of Cultural Heritage, Ed.] The cultural heritages that we become heir to are the fruits of circumstances, activities, cultures that are quite diverse. We contemplated about what kind of situations we might put in place so that our civilisation is able to create a heritage for the future, not only preserving what we inherited but also generating the conditions for future generations to build a heritage too. What is usually meant by “cultural heritage” is the immaterial, the digital. Even the European Union does not explicitly mention dance — how it might be possible, via the body in different cultures, to archive a heritage. In this regard, how can dance be transmitted today? Dance is in itself an immense cultural heritage and, as you are fond of reiterating, “it is humanity’s right”. Together with the Operaestate staff you have put in place a veritable dissemination of dance in the town. 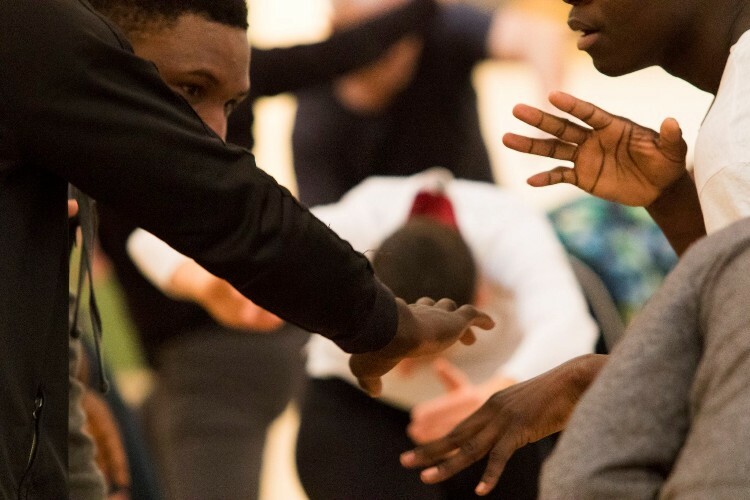 I’m not only thinking of events like Dance Raids but, above all the project of social inclusion, Dance Well [started in 2013 from an offshoot of the Dutch project Dance for Health, Ed. ], Thanks to which you encouraged everyone dance: from ordinary locals, the plain curious, to Parkinson sufferers, from families with children to choreographers and dancers of international renown. Yes, it’s true. We have tried and carry on trying to open ourselves up to new horizons, including involving different communities in the area. 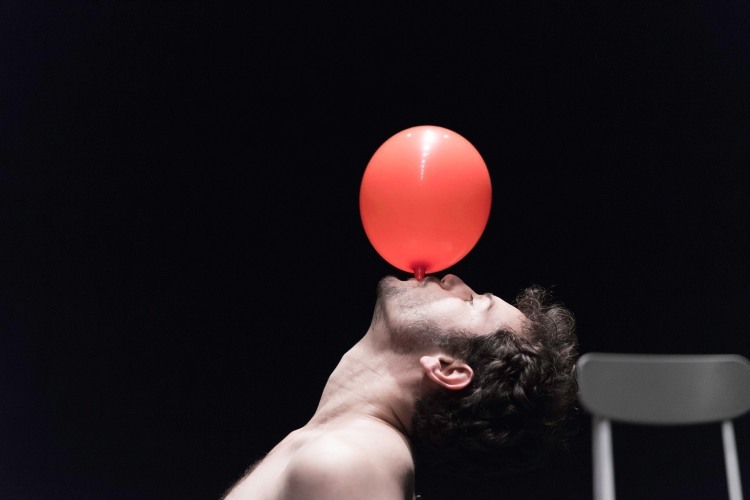 Among other things, this year for BMotion Dance we will host an Israeli artist [Ari Teperberg, Ed.] who will put on a show for the deaf. The performance [And My Heart Almost Stood Still, 24 and 25 July, Chiesetta dell’Angelo, Bassano del Grappa, Ed.] was designed also for those who have impaired hearing and so attempts to construct communication in a multi-sensory way. I’m fond of reiterating that dance is a right for humankind. Many civilisations have transmitted and transmit their history and cultural heritage using song and dance. Yet we often forget that we come from that kind of transmission and communication, we loose sight that the body is an archive. The body is a genetic record, it is a cultural record. What we try to do is to make this kind of transmission accessible. Also in practical terms, because incorporating the experience allows people to understand what we are talking about. Going through direct experience, in which the body of everyone experiences dance, is a way of imparting an information arrangement which would otherwise be ill-suited to convey in words. 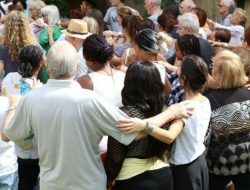 I always stress that dance is an art that allows everyone to reconnect to one’s body, to connect to the body of others, to connect to humanity and humanity’s emotions. It is an art-form that, unlike others such as painting or music, needs no other instrument than the body. Thus it is an art-form that everyone can adopt democratically. I would like to say that we are trying to allow as many people as possible to experience the art of dance, but we are also thinking about how to give voice to this art, not only through the media but also through listening to and then analysing peoples’ responses. It’s a huge task, which is aimed at those who live locally, trying to discern who is around, not only those who supposedly live there. We have noticed a demographic shift. Age is one example, because unfortunately, ours is a population that ages and is not going to regenerate itself, and this is a factor to be acknowledged. We also take into account the fact that there are new inhabitants, those who come from different countries and cultures. So, an initial consideration was to ask what kind of role models ought we offer to these communities? For instance, there are no black or Asian teachers in our schools. It looks to me that only some ethnicities in some professions are visible in our current context. I don’t even think that there are more than a couple of bars or shops in Bassano that employ black people. I often think about what the future offers the children who live and grow-up around here. There is a lot to do in dance but there are some very eminent and relevant artists for the works they create and who will start treading on the Bassano stage, not just bringing new opportunities for us, opening up fresh perspectives, but there are also for those who come from other communities and there will be those who can recognise themselves in those bodies of dancers. Speaking of ageing and regeneration, with Mini BMotion Dance you have created a locus for the transmission of dance to children. It has carried on this year too, but how do you intend to continue the transmission of dance to children (or should I say, with children)? With children it’s fundamental. This year, among other things, the programme expands because we start on June 2nd and 3rd with a workshop at CSC Garage Nardini held by a Norwegian dancer [Ingrid Berger Myhre, Ed.]. 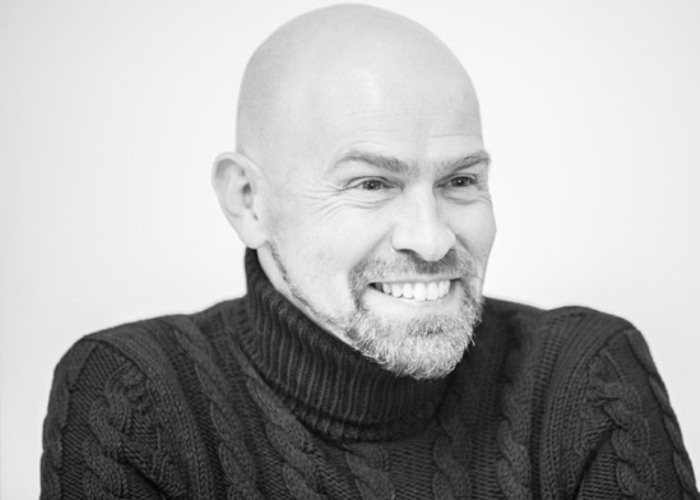 Then a workshop will follow with Andrea Costanzo Martini [14 and 15 June; 16-20 July, Ed.] and the Mini BMotion Project [from 22 to 26 August, Ed.] that will take place in synergy with dance shows dedicated to children and their families, to bring them closer to the art of dance and to make them feel at ease, even in unusual and enchanting contexts such as those of CSC Garage Nardini and the Bassano del Grappa Civic Museum. Indeed, dance classes won’t take place in gyms, nor in dance schools, but only in artistic contexts and, above all, it will put children in direct contact with extraordinary artists. In fact we have tried to guarantee the highest quality and, simultaneously, to offer the kids something special that is not otherwise found around here. In your opinion, in what way has the pedagogy and transmission of dance to the next generation changed? I can’t quite say what has changed in general. But my approach has always been, and remains, to offer the highest quality possible and not to oversimplify the contents of what you seek to do, especially for the upcoming generation. On the contrary, I have always tried to stimulate modes of communication for which even contemporary dance can be taught as such, without having to go through the simplification of “game-dance” or similar routines. Contemporary dance is an art and, like all the arts, clearly necessitates a disciplinary approach. But, at the same time, the fact of putting these children in contact with active artists, with people that they will see on stage the following day or in just a few hours afterwards, places them in direct contact with the reality of the performing arts. That must surely yield a distinct type of know-how, it conveys the pedagogy of dance in a different way. It brings them much closer to the context of everyday life and the reality of dance. 31 maggio 2018 | Riuscire ad intervistare Roberto Casarotto ha sempre il sapore delle grandi avventure. 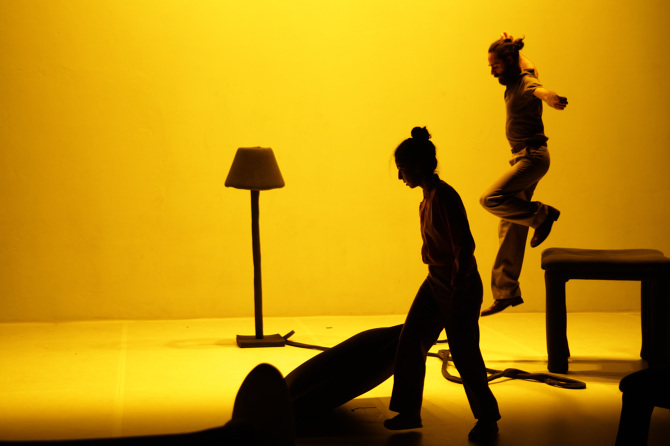 Il suo attuale ruolo di responsabile dei progetti internazionali di danza per Operaestate Festival lo porta sempre in viaggio. Un instancabile nomadismo che è non solo fisico ma anche intellettuale e progettuale, in perfetta armonia con un modo di pensare e lavorare in continuo movimento e uno sguardo aperto a 360°. Il suo approccio al mondo della danza contemporanea è eccentrico e visionario, entusiasta e dalla vitalità dirompente, ed ha fatto sussultare la sorniona cittadina di Bassano del Grappa, nel cuore del Nord Est, trasformandola in ombelico della sperimentazione e della ricerca artistica internazionale. Lo raggiungiamo telefonicamente a Parigi, dove si trova per una delle tappe di Migrant Bodies-Moving Borders – progetto europeo biennale nato nel 2013 e oggi giunto alla sua seconda edizione. 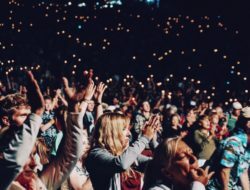 Un progetto che è la quintessenza di Roberto Casarotto e gli assomiglia perché possiede una vocazione alla mescolanza e alla diversità che mette in gioco professionalità diverse, da coreografi a scrittori, da fotografi a video maker, meticciando non solo competenze professionali ma anche luoghi, idee e persone, smarcandosi dall’ordinario e connotandosi per un atteggiamento tenacemente esplorativo. L’occasione della nostra chiacchierata con Roberto Casarotto nasce dalla concomitanza con la conferenza stampa di presentazione del programma ufficiale di Operaestate Festival 2018 e di BMotion, vero e proprio festival nel festival. Gli abbiamo chiesto di introdurci brevemente agli spettacoli di danza in calendario ma, soprattutto, lo abbiamo interrogato sul tema che quest’anno, come redazione di ABCDance, abbiamo eletto a fil rouge della stagione: “Trasmettere la danza”. Qui di seguito la nostra intervista. Il titolo di quest’edizione 2018 di Operaestate Festival è “Dei conflitti e delle civiltà”. Come lo avete declinato in danza? Il titolo naturalmente è riferito a tutto il festival, che è multidisciplinare. Questo anno 2018 ricorre infatti il centenario della fine della Grande guerra. Insieme ci siamo interrogati a lungo su come affrontare questo tema. Abbiamo pensato non solo al secondo conflitto mondiale ma anche ai conflitti presenti nella nostra quotidianità, che si consumano nell’eco di eventi accaduti nel passato, un passato che sembra non aver insegnato niente all’Umanità. A volte infatti questi eventi si ripropongono attraverso slogan o attraverso il ricrearsi di situazioni che ci fanno riflettere e che ci fanno interrogare sul perché sembriamo destinati a ripetere il passato. La danza come si innesta nel tema del conflitto? La danza si innesta in questa tematica innanzitutto perché abbiamo coinvolto artisti che provengono da terre di conflitto. Un esempio è Nora Chipaumire, artista originaria dello Zimbabwe, sopravvissuta a un genocidio. Nora è un’artista e un’attivista che con il suo lavoro [#Punk, 22 agosto, Teatro Remondini, Bassano del Grappa, N.d.R.] dà voce a una serie di questioni per lei fondamentali, perché appartengono alla sua esperienza personale, ma che sono fondamentali anche per tutti noi, perché parlano all’Umanità, ponendo domande universali. Ci sono poi artisti che arrivano da Israele [come Sharon Fridman, Iris Erez, Yaara Moses, Ido Batash, N.d.R.] ma anche artisti che, pur provenendo dalla vecchia Europa, affrontano questioni rilevanti e attuali quali, ad esempio, il conflitto tra generazioni o i conflitti economici in corso. Quindi è chiaro che non vogliamo affatto riferirci esclusivamente alle guerre né, tantomeno, esaltarle. Abbiamo riflettuto su come da molte forme di conflitto spesso nascano delle opportunità e la gente si rimbocchi le maniche, dandosi da fare per portare avanti la civiltà. E ci siamo chiesti che cos’è “civiltà” oggi. Tra l’altro, il 2018 è un anno particolare perché l’Unione Europea l’ha proclamato anno del patrimonio culturale [European Year of Cultural Heritage, N.d. R.]. I patrimoni culturali che noi ereditiamo sono frutto di esistenze, di opere, di civiltà diverse. Ci siamo chiesti che tipo di situazioni mettiamo in campo affinché la nostra civiltà sia messa nelle condizioni di creare un patrimonio per il futuro, di conservare quello che abbiamo ereditato ma anche di continuare a produrne e a fornire le condizioni affinché le generazioni future possano costruire un patrimonio. Per “patrimonio culturale” usualmente intendiamo quello immateriale, digitale. Perfino l’Unione Europea non parla esplicitamente della danza e di come attraverso il corpo nelle diverse civiltà si archivi e si possa trasmettere un’eredità. A questo proposito, come si può trasmettere la danza oggi? La danza costituisce di per sé un patrimonio culturale immenso e, come tu ami spesso ripetere, “è un diritto dell’Umanità”. Insieme allo staff di Operaestate tu hai messo in atto una vera e propria disseminazione della danza nella città. Penso ad eventi come Dance Raids ma anche e soprattutto al progetto di inclusione sociale Dance Well [nato nel 2013 da una costola del progetto olandese Dance for Health, N.d.R ], grazie al quale hai fatto e fai danzare tutti: da gente comune a parkinsoniani, da famiglie con bambini e curiosi a coreografi e danzatori di respiro internazionale. Sì, è vero. Abbiamo cercato e cerchiamo di aprire e di aprirci a diversi orizzonti, anche coinvolgendo diverse comunità del territorio. Tra l’altro, quest’anno per BMotion Danza ospiteremo un artista israeliano [Ari Teperberg, N.d.R.] che porterà uno spettacolo [And my heart almost stood still, 24 e 25 luglio, Chiesetta dell’Angelo, Bassano del Grappa, N.d.R.] pensato anche per chi non può sentire, che tenta di costruire una comunicazione in modo multisensoriale. Mi piace ripetere che la danza è un diritto dell’Umanità. Molte civiltà hanno trasmesso e trasmettono la loro storia e il loro patrimonio culturale con il canto e con la danza. Eppure, spesso ci dimentichiamo che noi arriviamo da quel tipo di trasmissione e di comunicazione e che il corpo è un archivio. Il corpo è un archivio genetico, è un archivio culturale. Quello che cerchiamo di fare è di rendere questo tipo di trasmissione accessibile anche in intermini di pratica, perché incorporare l’esperienza permette alle persone di capire di che cosa parliamo. Passare attraverso l’esperienza diretta, in cui il corpo di ciascuno sperimenta la danza è qualcosa che dà una serie di informazioni altrimenti difficili da trasmettere a parole. Non mi risulta, ad esempio, che ci siano insegnanti di colore o asiatici nelle nostre scuole. Non mi risulta che una certa tipologia di professionisti di colore sia visibile nei nostri contesti. Non mi risulta nemmeno che siano più di un paio i bar e i negozi di Bassano che impiegano personale di colore. Penso molto al futuro dei bambini che vivono e crescono qui nel territorio. Nella danza c’è molto da fare ma ci sono artisti molto autorevoli e rilevanti per i lavori che creano e che cominceranno ad abitare i palcoscenici di Bassano, portando nuove opportunità non solo per noi autoctoni, aprendoci a nuovi punti di vista, ma anche per chi arriva da altre comunità e che in quei corpi di danzatori potrà riconoscersi. A proposito di invecchiamento e di rigenerazione, con Mini BMotion Danza avete creato un luogo deputato alla trasmissione della danza ai bambini. Anche quest’anno quest’esperienza continua. Come intendi portare avanti la trasmissione della danza per i bambini? O forse è meglio dire con i bambini? È con i bambini, ed fondamentale. Quest’anno, tra l’altro, il programma si amplia perché cominciamo proprio il 2 e 3 giugno con un laboratorio al CSC Garage Nardini tenuto da una danzatrice norvegese [Ingrid Berger Myhre, N.d.R.]. Seguirà poi un laboratorio con Andrea Costanzo Martini [14 e 15 giugno; 16-20 luglio, N.d.R.] e il Mini B Motion Project [dal 22 al 26 agosto, N.d.R.] che si svolgerà in sinergia con gli spettacoli di danza dedicati ai più piccoli e alle loro famiglie, per avvicinarli all’arte della danza e per farli sentire a proprio agio anche in contesti bellissimi e inusuali come quelli del CSC Garage Nardini e del Museo Civico di Bassano del Grappa. 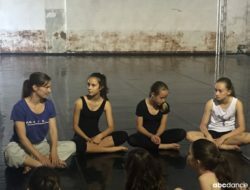 Le classi di danza, infatti, non si svolgeranno nelle palestre, non si svolgeranno nelle scuole di danza ma in contesti artistici e, soprattutto, metteranno in diretto contatto i bambini con artisti straordinari. Abbiamo cercato, infatti, di garantire la massima qualità e, allo steso tempo, di offrire ai più piccoli qualcosa che non si trova nel nostro territorio. In che modo e quanto secondo te è cambiata la trasmissione e la pedagogia della danza alle nuove generazioni? Non so dire che cosa sia cambiato in generale. Ma il mio approccio è sempre stato e resta quello di offrire la massima qualità disponibile e di non semplificare troppo i contenuti di quello che si vuole proporre, soprattutto alle nuove generazioni. Al contrario, ho sempre cercato di attivare delle vie di comunicazione per cui anche la danza contemporanea possa venir insegnata come tale, senza dover passare attraverso la semplificazione del “gioco-danza” o cose simili. La danza contemporanea è un’arte e, come tutte le arti, implica chiaramente un approccio disciplinare. Ma, allo stesso tempo, il fatto di mettere in contatto questi bambini con degli artisti attivi, con persone cioè che il giorno dopo o qualche ora dopo salgono su un palcoscenico e che sono quindi a contatto diretto con la realtà dell’arte performativa sicuramente porta loro un’informazione diversa, veicola la pedagogia della danza in maniera diversa, avvicinandoli molto di più al contesto della quotidianità e della realtà della danza.